Jenson was one of the roughly 350 people gathered at the Capitol’s Senate Building for the interim committee hearing. Almost 70 members of the public were slated to give their thoughts on the “Utah Medical Cannabis Act,” (UMCA) better known as the “cannabis compromise bill,” an agreement unveiled a month before voters passed the Proposition 2 ballot initiative. Should lawmakers pass the UMCA at a Dec. 3 special session, it would supersede Prop 2, a reality that many critics spoke out against during the hearing. Critics of the compromise contend it will be harder for patients to access their medicine than if Prop 2 were to become law. Under the UMCA, card-holding Utahns would acquire medical cannabis from either a local health department—which would receive the medicine from a state-operated “central fill pharmacy”—or a privately owned pharmacy. Lawmakers increased the number of private pharmacies in the latest iteration of the compromise released on Nov. 21. “We have seven to start, we could go to 10 if the central fill model is not up and running by the dates anticipated in the bill,” Hughes said at the hearing. That date is Jan. 1, 2021. The distribution system would be different if Prop 2 were to become law. Per the ballot initiative, patients would go to a nearby privately operated dispensary. The number of dispensaries in a given area would be based on population—in Salt Lake County, for example, there would be eight. Not all of the people who spoke were against the UMCA. Charity and Sean Peterson each talked about their experience helping their 5-year-old son with his epilepsy. The Petersons opposed Prop 2 because they worried it would threaten public safety, but said they’re encouraged by the public discussion on medical cannabis. “I am so grateful that we are finally kind of coming to our senses and recognizing that marijuana is on this earth for a reason,” Charity said. 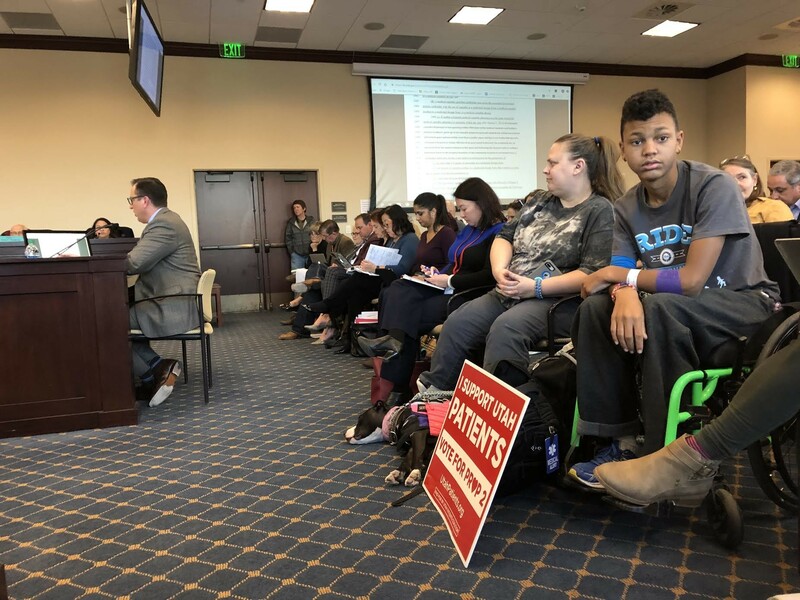 Acknowledging the new bill isn’t perfect, Charity urged Utahns to call their elected representatives and make their voice heard before the act becomes law. “Let’s make conversation, because this is important,” she said.